• David Spradlin was elected Kansas City Southern general chairman. He replaces Sam Parker, who retired after 20 years in the position. A member of BLET Division 573 in Greenville, Texas, Spradlin had served as secretary-treasurer the past eight years. • Kenny Hansen was elected chairman of the Iowa State Legislative Board. 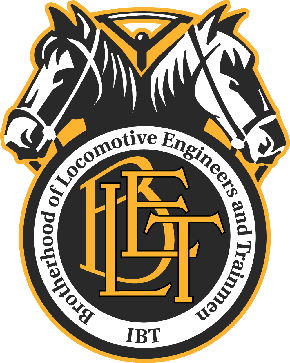 A Union Pacific Railroad locomotive engineer and member of BLET Division 125 in Clinton, Iowa, Hansen most recently served as second vice chairman. • Clay Craddock was re-elected to his second term as chairman of the Canadian National-Illinois Central General Committee of Adjustment. A member of BLET Division 762 in Memphis, Tenn., Craddock, who has more than 40 years of engine service, was elected to his first term in 2012. • Mark Wallace was reelected to his second term as general chairman of the Norfolk Southern-Southern Lines General Committee of Adjustment. Wallace — whose father, Ray, was general chairman from 1986-2008 — was first elected general chairman in 2012.